Flip a coin. 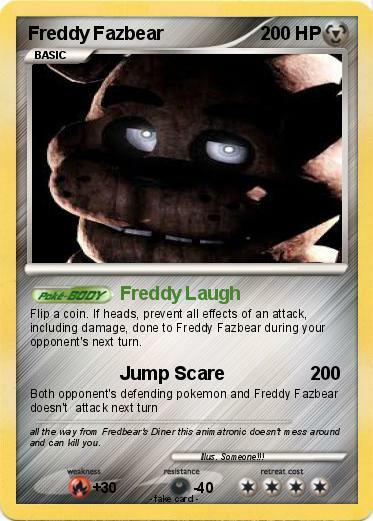 If heads, prevent all effects of an attack, including damage, done to Freddy Fazbear during your opponent's next turn. Comments : all the way from Fredbear's Diner this animatronic doesn't mess around and can kill you.